Sam is a touching tale of love, compassion, deceit, and survival. 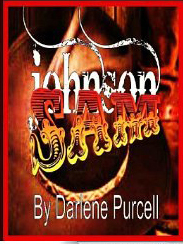 Set in the old west, we meet Sam Johnson, a dying man, whose sedated thoughts take us back to relive his unusual life. Sometimes hilarious, and always heartwarming, we get a glimpse of his poor but happy childhood. The story then shifts to Violet. Desperate, crying, and nowhere to go, Sam takes pity on her and offers her a job and a place to live. Although Sam is not a good-looking man and his hygiene is atrocious, eventually Violet falls in love with him—but the feeling isn’t mutual. In a selfish act of deceit and betrayal, Violet tricks Sam into marrying her, forever destroying their friendship. About half way through the story, we find that Sam has a secret. Take a peek and find out why Sam can never love Violet the way she truly wants to be loved. I really enjoyed reading Sam. It was a very well written novel and I found myself reading every chance I had. Some of the dialogue was a little hard to understand but once I got accustomed to it, it was fine. I do not hesitate in recommending this book. I loved it! I give it a five star. Who doesn’t love a good romance? 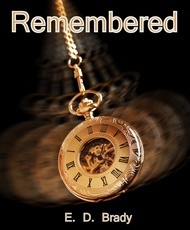 When I started reading Remembered, I had no idea what it was about, but I was hooked instantly. The love between Annie and Kellus was beautiful. They were destined to be but when supernatural events ripped Annie from Kellus’ life, he was devastated. Catapulted to another time, place, and age, Annie had no memory of the life she once led. Her age having been reversed to six, she turned up alone on the doorstep of a New York police station. With no identity or family, Annie lived her life as Emily until recurring dreams of a handsome man forced her to seek counseling. Kellus’ desperate love for Annie reached through time, space, and worlds, to finally bring her back to him, only to have her face once again, the threat that ripped them apart. Unfortunately, the mixture of future and past items within the same world, such as the use of carriages alongside modern day medicine was troubling. I also wanted to know more about how her friend in New York dealt with her disappearance. Since this is a trilogy, I hope her other life is revisited. None of the negative points of this book detracted from that fact that it kept me up reading way past my bedtime for more than one night. After all, this is a work of fiction and I keep my mind open–anything can happen. The love story was wonderful and I really enjoyed the action at the end. It was a real page turner and I honestly couldn’t put it away. I can’t wait to read the next books in the series. Suki is a beautifully written love story and quite different than any other that I’ve read. An unlikely and surprising narrator takes the reader through an array of emotions; hope, happiness, excitement, uncertainty, love, laughter, grief, and devastating loss. It takes a brilliant author to write a story that will actually make me cry, and I have to admit, this one did. What does love really look like? We think we might know, but C.F. Winn shows us that it isn’t always what we expect. The point of view choice in this book is quite original and refreshing. Suki really touched my heart, and will be with me for a very long time. Thank you, C.F. Winn, for writing such an amazing story. I give this one a 5 star!